Boxed Corporate Leather Pen Sets are excellent business pen sets. 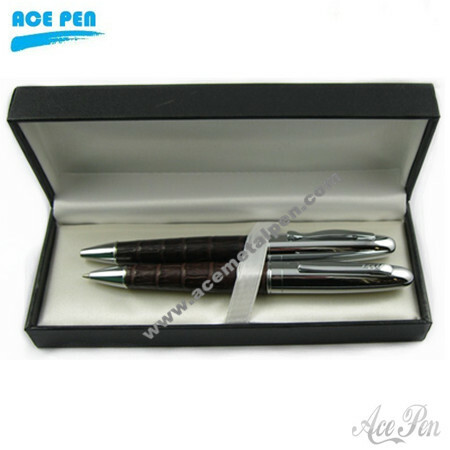 Wholesale Pen Sets consist of a ball pen and roller pen. Bright Chrome finish on the upper barrel while quality PU leather finish on the lower barrel.